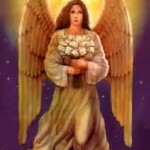 Archangel Gabriel via Shanta Gabriel: Be Willing to Face the Fears of the Past and Move into New Dimensions of Love. You have come to a time when you know that the way you have always perceived your world may seem like it is no longer working. It may even feel as though your childhood traumas or other things from your past that you are not proud of are crowding into your present awareness. This is a very good sign, because all memories come into your mind to be released, so that you can live in the present. We encourage this release of past memories and fear so you will be able to move on with your life. Whether you do this through prayer, personal journaling, talking to a friend or going through counseling, the important thing is to be willing to face the fears of the past, hold them in the light of loving awareness, and then let them go. The Angels are also available to you now in a way that was not possible before. We will assist this entire process of changing the way you perceive your world, if you but ask us. Your thoughts are prayers flowing out into the ethers and bring to you that which you focus on. What do you have to lose by calling on your guardian Angel and asking for more Love, Peace and Harmony in your life? What could it hurt to ask to see that which is good, instead of that which causes pain? There is an incredible simplicity in the truth of universal law. You do not have to be alone in your struggle. 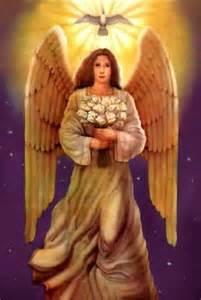 Angelic assistance is always available to you, here to bring Divine Love and Light to the world. Our message is always one of Peace and Harmony. We seek to bring only Good into your life. Before long you will notice the changes in your life, as that which you ask for manifests. These changes are the new dimensions of love promised to you. You are the one that holds the key to your future by what you are harmonizing with today. into new dimensions of Love.